RV Roof Repair can be a frustrating and tiresome task normally brought on by UV ray damage and not doing regular maintenance on your RV roof. Thats why we carry top name brands and all that is needed to make repairs easier and more time efficient. We carry the full range of rv roof repair systems from the actual repair down to the sealants and coatings needed for regular maintenance. If your RV roof has been damaged due to tears or simply your wife backing into a line of trees, then take a look at our competitively priced RV rubber roof systems. Also, we have UV protectants to help keep those damaging sun rays off the top of your RV. 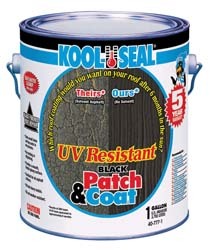 Try our line of RV Roof Repair Products which include RV Roof Patch, RV Roof Sealants by Kool Seal, RV Rubber Roof Coating by Kool Seal, and RV Rubber Roof Systems. RV roof repair has never been easier, with our large selection of EPDM RV Rubber Roof Systems by Brite-Ply and our RV Roof repair and RV patch kits by Kool Seal, these products make repair easier and less stressful. 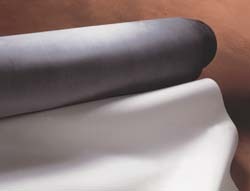 We offer protection from cracks , leaks and damaging UV rays so that you can worry less. 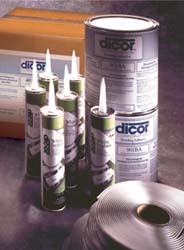 With RV primers and RV coatings by Dicor, Kool Seal and Dycor you can prime and coat your rv roof for further protection while sealing the cracks and leaks as well. RV Roof repair doesn't have to be a hassle when you have the right products. Roof damage has been a common problem in all RV's and campers, but this all can be prevented. Our large quanity of roof repair products will be more than enough to protect your roof from harmful UV rays and scrapes. Most people don't notice the damage that has been done to the roof of their RV until it is too late, so its always good to get the RV roof repair products you need in advance to prevent this from happening. 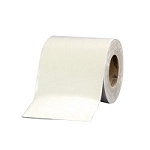 No one wants to be caught out in the rain with a leaky roof, so be prepared and get the rv roof repair items to keep your RV's roof in tip-top shape! If your RV has a damaged roof with leaks, then you could be suffering a great deal of stress and concern. With Liquid Roof, RV roof leak repair and maintenance has never been easier. 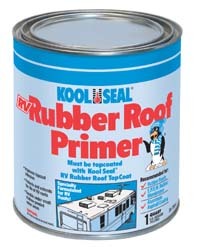 This RV rubber coating is maintenance free and installs in one easy coat with no primer. You can be on the road again in no time with no spring leaks. After repairing you RV with liquid roof repair, simply keep up with your routine maintenance and your rv roof should last for a long time to come! The Florida RVer warns that owners of RV with new, sleek rubber membrane roofs should be aware of their susceptibility to damage from overhangs and branches. He recommends at least twice annually cleaning the roofing of your rv / trailer with a mild soap and water solution, as well as checking the roof and seals for leaks repair or tears repair. Inspecting your RV at home can prevent RV leaks repair, roofs repair and even more damage down the road! 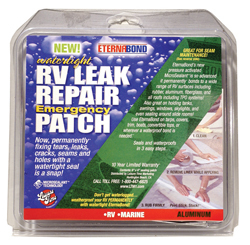 If you do find a tear on your rv, you are going to want to repair RV. 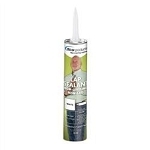 Liquid Roof repair is perfect for all of your RV roof repair and RV roof leaks repair needs. Motor homes and Rv leaks repair and maintenance is an essential step in guaranteeing the long life of your investment.